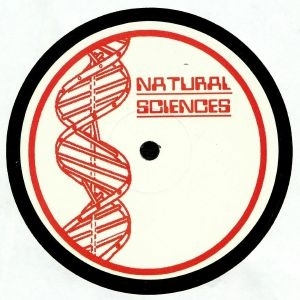 Natural Sciences is a "Manchester mutant electronics" label with an irreverent view of dance music history, making classic genres lo-fi and crunchy, recklessly mashing them together or dipping into newer trends. They put out a lot of records—some better than others—but you can usually count on them to deliver a zany energy. The debut from Belgian producer Datawave feels a little more serious, launching into the outer-space world of established electro artists like The Exaltics and Dopplereffekt. But the more considered approach works wonders, making for one of the label's most fully-realized releases yet. "Stellar Wind" is a pitch-perfect piece of Detroit electro, with anxious choral pads, booming basslines and a brisk but steady drum pattern make you feel like you're cruising through space at a comfortable warp speed. The darker "Hidden Outpost" features jagged basslines and vocoder vocals, while woozy synths give it a sci-fi sheen. Neither of these tracks are terribly original, but they're lush and confident, yet another Natural Sciences release that reveals a confident new artist.